Zylkene is a palatable capsule containing a natural product that is proven to help cats and dogs cope with stress and facilitate adaptation to change. 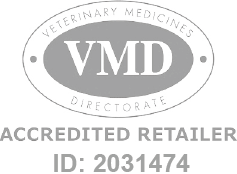 Zylkene 450mg - 20 Capsules is a Prescription Only Veterinary Medicine and by law requires a prescription from your vet. Ideal use for cattery/kennel stays, fireworks, travelling or any stress inducing situation. Zylkene should be given once daily to manage short term or long term stresses.